Do you ever wonder what it’s like behind the scenes of the world’s largest international house sitting platform? While in the UK, between house sits, we got the chance to find out! 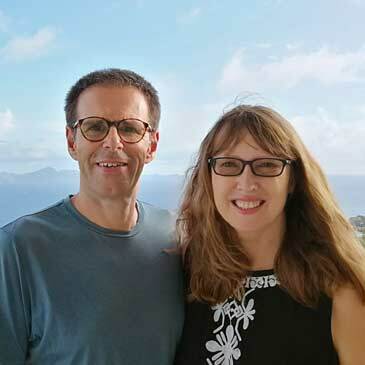 TrustedHousesitters was launched by Andy Peck and Rachel Martin in 2010, and has grown to become the world’s leading international house sitting platform. Having outgrown their previous office space, we found the team of 26 in their temporary work space, late on a busy Friday afternoon. It was genuinely heart warming to be introduced to this dynamic group. They are efficient, friendly and clearly passionate about their work and the service they provide. We loved the relaxed and easy-going atmosphere in the bright, modern offices. It was just like walking into the home of large family – even down to the minor upset of Georgina’s dog having just eaten another staff member’s afternoon cake! After meeting members of the various departments and hearing some great house sitting anecdotes, we adjourned to a nearby pub. We were shortly joined by a number of staff members ready to begin the weekend with a glass of Prosecco or a beer. The inspiring chat involved… yes you’ve guessed it… lots about travel and house sitting! Here’s our full interview with Rachel Martin, co-founder of TrustedHousesitters. She talks about the inspiration behind the formation of this self-funded company. She also addresses the challenges, the rewards and the general ethos of THS, including how it has become the success it is today. How did you and Andy meet, and how were you first introduced to house sitting? Andy and I met just as TrustedHousesitters launched. He had discovered house sitting through a friend of a friend. He had been looking for a quiet place to finish a screenplay he was writing, following a near-death experience when traveling in the Bolivian Andes, months previously. We spent a week house sitting together for the first time in France, soon after meeting. It was then I discovered how I’d love to help others in this way, and also how Andy and I could work together in partnership to bring TrustedHousesitters to market. We explored how we could grow this unique way of helping people to travel more, on both sides of the network. You now own the largest house sitting platform to match home owners with house sitters. How did you develop the business, and what motivates you to continue (apart from it providing income)? While Andy was convalescing he realized there was a need for a comprehensive website which would help owners and sitters find each other. On speaking to numerous expats, as well as pet owners in the UK, it became apparent that they all had similar stories to tell – the dilemma of what to do with their pets and home when going away. This was to the extent that some people were unable to travel because of this problem. The emails and reviews we receive from members are incredible. The fact that we are helping to change people’s lives is a powerful factor. It sounds far-fetched, but the responses from members using the site is overwhelming from both sides of the network. Our motivation has never been income – every dollar we make is poured back into the business to continue to grow the awareness, and to reach more and more pet owners around the world. We also need to ensure that we offer the best experience for our members when they are using the website. Where in the world was THS’s first ever match between a home owner and house sitter? Great question! It was in Spain and the sitter was from the UK. What were your biggest challenges originally and are they similar now, or different? We’re bootstrapped and proud to have grown the business to where it is today without giving away control. With a bootstrapped business the biggest challenges are of course growth. Having a lack of resource initially to help that expansion was tough – meaning we worked non-stop and had to become ‘experts’ in every aspect of running a tech business. Through sheer determination and a lot of hard work we’ve now grown and have a brilliant team who support the purpose of why we do what we do. This is essentially to keep pets happy at home, and it is at the heart of everything we do. This, together with the brilliant output of enabling more people to travel and enjoy unique and wonderful experiences as a result. Vanessa: How soon after starting the business did you realize THS was destined for success? For me success started from day one when we helped connect our first sitter with a house sit – then it simply became a measure of success in terms of the number of connections made through the site. Do you both still play an active part in running the business? Absolutely! We’re still working most days of a seven day week and a lot of hours! But we love it – it gives us a huge amount of fulfillment. Andy is a brilliant spokesperson for house sitting and has tirelessly been flying the flag for the concept, getting it better known on a global scale. I have a more internal focus with the team back at headquarters, dedicated to providing the best website and overall experience for our members. You now employ 26 people (update: now 40 Oct 2017) – what roles do they play? We have grown an amazing team who are all just as passionate as we are about house sitting and as importantly, pets and animal welfare. Our biggest resource is the customer care team who offer a 24-hour service to help members if they have any questions. They are also there to advise new people who want to understand more. This has proved invaluable for many home and pet owners who land on the website but have lots of questions. This is still such a new concept for many, and you can’t beat the personal service of speaking to someone over the phone or on live chat. The customer care team are all animal lovers and their passion for what we do really shines through, to the extent that we have won customer service awards both here in the UK and in Australia. We also have a small but expanding marketing team, and a couple of agencies supporting us in the US and UK. They are dedicated to creating and building the awareness of house sitting and growing new channels to reach pet owners around the world. Our engineering team is also a growing team – headed by Will, our CTO (Chief Technology Officer). They have had a huge job to get the website to a place where we can really start to build on the features we offer. We have a very exciting road-map over the next 12-24 months, designed to make the site even easier, even more useful and even more of a delight to use! 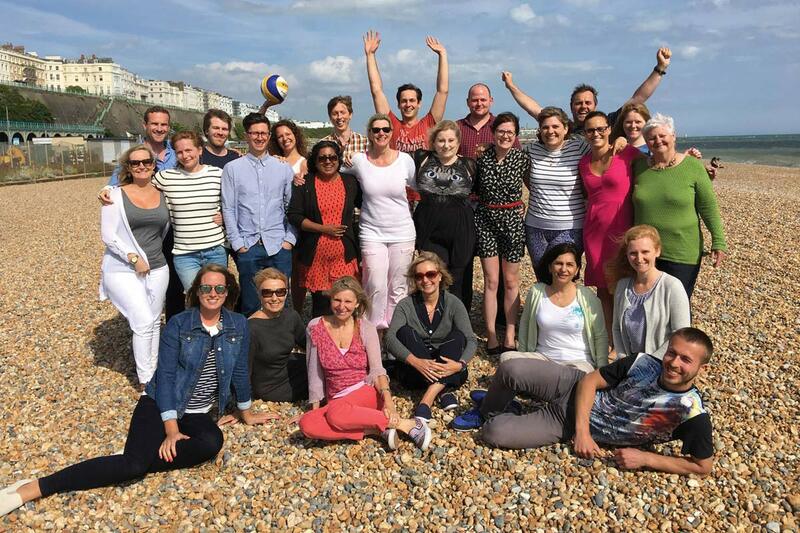 We’re continually looking for the best talent and are always looking to hire – so if any readers have customer care, engineering or marketing skills, please do check out our website careers page – we’ve hired a number of members from the site who are now based in Brighton, UK working for us now! What type of questions do you get asked most on your 24-hour chat line? For new home and pet owners the questions are mainly about trust issues and how the process works. For new house sitters the questions are about whether house sitting will work for them. We’re launching some new features within customer care to further help both new and existing members which will include a helpful on-boarding service. Are your employees active in the house sitting community? Yes! We would not dream of hiring anyone who isn’t as passionate about the concept as we are. Our team all have their profiles on the THS website and most have done at least one house sit, as well as engaged house sitters for their own homes. It’s invaluable for them to experience this way of traveling, as each experience is so unique. It continually helps us to gain more and more insights into what both home owners and house sitters need, and how we can ensure we offer the best website for our members. What is one feature that makes your platform unique from others? As mentioned we have a 24-hour customer care team in place which you can call via phone, live chat or email. I believe we’re the only platform which offers this level of customer service, which we know is incredibly invaluable to our members. It helps both to attract more pet owners to use the service and works as back-up support for sitter and owners should it ever be needed. We are also introducing a further level of ‘trust’ into the platform with ID verification. This means members will be able to build their ‘trust’ profiles even more, in addition to the current third party references, video profiles and peer reviews. Verification will be free to all members and will include both ID and document checks, and should be available by mid August. (Update – now available) There wasn’t a global online solution to offer this previously, but we’re excited to be working with a third party, who also provides this service to some of the biggest brands and businesses in the world. Some house sitting platforms don’t charge home owner membership, but you do. How does this make a positive difference to the agreement between home owners and house sitters? It was a conscious decision to charge home owners to use our service. We feel that house sitting is about equality on both sides of the network, as both parties are getting great value from it. So it felt right to charge home and pet owners. From what we’ve heard, it also means that the quality of sits is better – homeowners are more likely to respond to sitters if they have invested in the platform, rather than creating a listing and then never feeling obliged to come back to it. It also helps to build more trust within the platform and, because we charge homeowners, we can continue to grow the services that both sitters and owners can use. For example, we have a FREE 24/7 TrustedHousesitters Vet Advice Line for members, which is manned by dedicated vet nurses. Sitters can access this for free while on a sit looking after pets. They can use this if they have any questions or concerns about the pets in their charge. Pet owners can also access this at any time during their annual membership. It can even used to ask a behaviour question, so it’s a brilliant resource! We know members have asked for even more equality, with owners wanting to enjoy recognition for hosting a sitter and sitters wanting to be able to recommend sits or provide feedback – so we’re introducing a new feedback system from sitters to owners, which will be coming very soon. We appreciate everyone’s patience here! Even though we charge owners, as opposed to our competitors, we have grown to offer more house sits to sitters than any other platform – and we continue to grow. We also have a very healthy ratio of sitters to owners. To give you an example of this, we can see from our current data that 50% of homeowners receive up to 7 offers of help from sitters per assignment. What happens if a home owner can’t find a house sitter? What does the team do to help fill the assignment? It’s very rare that an owner doesn’t fill an assignment – in fact 98% of pet owners who list with us, giving at least a week or more of notice, do find their ideal sitter. For any last minute listings we use our extensive social media channels, always making sure we have the permission of the owner, to reach more members. We also utilize and activate our daily email alerts to get the listing in front of even more potential sitters. What’s the most unusual or funniest connection you’ve ever made through house sitting? One of the most incredible things for me is the member stories, and we only hear about a fraction of the connections being made and the adventures people have. In fact, we’d love to hear more – and so we are launching a campaign this summer for sitters and owners to tell us about the friendships they make, both two and four legged, and the travels they’ve enjoyed. There will be a huge prize attached for the winning story, which will be revealed this month! But to answer your question, one of the sweetest connections was a British man sitting in New Zealand who met his future partner while out on a dog walk. He convinced her to pack up her belongings and go house sitting with him, which she did! They now house sit together worldwide and are having a wonderful adventure with pets, travel and of course, each other. You have a number of awards and are pitching for more – how do you see these benefiting the house sitting community? Awareness, awareness, awareness! As a new concept for many, it is our job to go out there and make as much noise as possible about house sitting. We’ve entered (and won) many accolades and each time it helps to give credibility to the concept, and us as a business – further raising awareness. “we love it” and “what a brilliant idea!’. As a result of winning awards and gaining publicity, house sitting is fast becoming more recognized as a credible way to travel and to find pet care. How do you see the house sitting industry growing or changing in the future? I can see only growth for house sitting – it’s a very pure version of the sharing economy – and ultimately has all the right economic factors for it to work for everyone. House sitting will be as well known as other travel forms, such as vacation rentals or couch surfing. And, as a pet care solution it has all the right ingredients for a pet owner. Pets stay happy at home (which pets agree is much better for them), looked after by a care oriented, not a pay oriented sitter – someone who loves pets so much that they will happily include them as a huge part of their travels or vacation in return for free accommodation. And, in a world where so much is manufactured with brands vying to create a ‘real’ experience for their customers, we hold something that is still very honest and true – humans helping humans helping animals. There’s a lot of love in house sitting and while that may sound a little ‘hippy’, ultimately it is all about life experiences and the connections we are enabling. Who doesn’t want a bit more of that in life? The great debate – cat person or dog person? Dog person! I grew up with a boxer dog called Sam – and in fact Andy fell in love with Dave the Dog who he first looked after on his very first house sit. You could say Dave helped to convince him this was an idea that needed to happen! Do you still house sit? Yes! Our last house sit was in March in Colorado, USA. We try to go house sitting at least twice a year. Actually, I love doing local house sits – somewhere in the UK where I can work for a week or two and get out of the office to plan and formulate our thoughts. When Andy and I first launched TrustedHousesitters we actually went around the world house sitting, running the business out of a backpack. We spoke to media in every country we visited to grow awareness, and to gain insights about what pet owners needed and wanted, all of which helped to create for them, an invaluable service. Ha, ha! Well we got engaged two years ago, which in the middle of launching and running a start-up business, was probably testament to how well we work together. But, as a result we’ve had no time to plan it – all our energy has been focused on TrustedHousesitters. However, we have made a pact that we will try and find a venue and get married in 2017, so watch this space! Update: Rachel & Andy finally tied the knot in the summer of 2017 – Congratulations guys!! Anything we’ve missed that you’d like to add? I’d just like to say a big thank you to all our members for supporting us on this journey and for being part of this wonderful community. House sitting is ultimately about sharing, connecting, being real, enjoying enriching experiences and most importantly respecting each other – so a big thank you to you. You can visit the TrustedHousesitters website at this link TrustedHousesitters and get a 25% discount off of the annual membership. 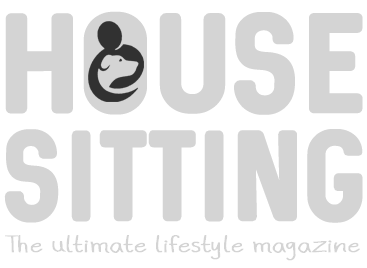 A great offer for House Sitting Magazine readers – thank guys!